In this webquest, you will explore how to solve math problems. Is there a specific way to solve a math problem? Why or why not? 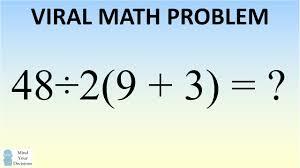 By the end of this webquest, you should be able to solve the viral math problem in the picture.